Creating a budget for your dream wedding is one of the most nerve-racking aspects when it comes to planning your big day. Your wedding is one of the most special occasions, celebrating the love between two people. It is but obvious that you will want your wedding to be the most perfect day of your life.We provide the best wedding planning services in Bangalore to make your dream wedding in real. On this special day for your loved ones, we understand the need for everything to go as planned. But sometimes we can find ourselves in a tough spot while deciding on a budget for the wedding. Do not fret! 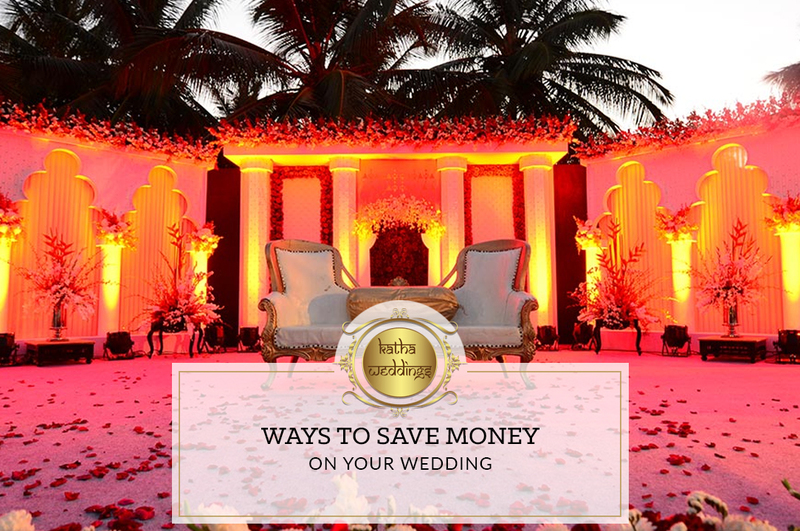 Here we provide you with some easy techniques that might come handy while you plan the budget for your ideal wedding. In the excitement of celebrating your love, it so often happens that we tend to go a little over board with our spending. Sure you must have planned this day a million times before in your head but it essentially helps to put everything on paper. In the initial step of decoding the perfect way to go about your nuptials, ensure you know exactly the kind of ceremony you have in mind. You might be the kind of person who prefers having every tradition and ritual incorporated in your ceremony or you might want to add a few things of your own. In this case, it helps to pen down exactly what you have in mind when it comes to having your dream wedding.We are one of the top wedding consultants in Bangalore to help you to decode your budget plan in short span of your time. You ought not to be super elaborate while penning down the details however, it helps to run through the substantial bits of your special day. Make sure you have the bigger details for the wedding sorted out, like do you wish to have a destination wedding in some exquisite place or have a beautiful ceremony in your hometown. At this stage, take into consideration the kind of outfit you wish to done, the photographer, approximate guest list, the kind of decor you want at the venue and of course the appetizing food you wish to arrange. Also have an approximate price list for each of these things ready. Ensure that you have every major aspect of the ceremony planned and that you feel confident about your decisions. In forethought, figure out what is significant to you in the ceremony. 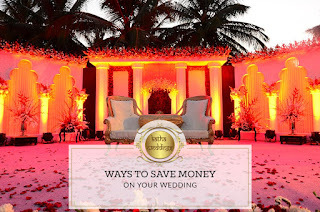 You might have to make certain decisions to cut down on the expenses; ask yourself questions like will you rather have more variety of food served or do you wish to spend on the live music band that you always wanted to play at your wedding. This is often additionally an honest time to talk to your family about what their plans are for your big day. Make sure that you and your family are on the same page while figuring out ideas to celebrate your special day. After you have an estimate budget ready for the wedding, figure out how much you and your partner's family can contribute towards it. You perhaps already have an idea about how much your folks are willing to contribute or maybe you understand that you don't want to burden them financially at all. In any case, it helps to know a ballpark figure clear cut in your head while you plan your wedding. This is the time to sit with everyone and openly deliberate on how much finances can be arranged by each side of the family towards making this a memorable day for the both the bride and the groom as well as their respective families. It usually helps to create a spreadsheet and enter all the small and big details you propose to incorporate in your wedding, followed by the calculable allocations for each of these things. You can start with making a basic headline on the spreadsheet under which you can insert different labels and enter the amount you think might go into it. For example, the main heading can be the Sangeet function and then you can go ahead and make other labels like the venue, the outfit, food etc and how much you approximately want to spend on each of them. Then add a line for miscellaneous things and think about an approximate additional amount that might go into unforeseen things. As you prepare the budget, you’ll notice the places where you might have to cut down a little or add more things than you had earlier planned. Don’t be shocked if you have to get back to your budget and renegotiate the breakdown a couple of times before the actual event. Once you’ve created your spreadsheet, you'll be happily able to say you have got a wedding budget! Then begin the task of booking vendors and creating deposits! Though a lot of things on the way may tempt you but make sure you stick to the budget you prepared.We are one of the Premium wedding planners in Bangalore to help you from decoding the budget to make your dream wedding to real without any hassle.